Nir Barkat outlines sorry state of security in the capital in Knesset session with public security minister. Jerusalem Mayor Nir Barkat outlined the sorry state of security in the capital Monday, in a session of the Knesset's Interior Committee. 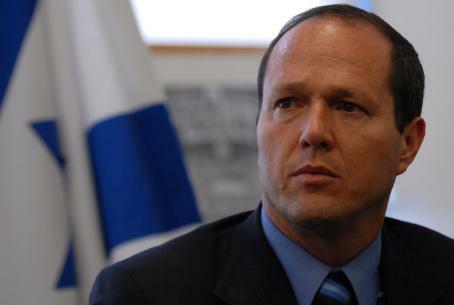 Barkat disputed the claims that the deterioration in security began around the time of Operation Protective Edge in Gaza. “Even before Operation Protective Edge, the state of affairs in Jerusalem as regards riots, rock throwing and enforcement was shoddy. We were talking about 200 events of rock throwing [per month]. Even before Protective Edge, we held a discussion about the changes needed to bring back the rule of law in Jerusalem." "The Arab residents are complaining about the situation no less than the Jews," he noted. Video shows riots near the home of the terrorist from Silwan (Shiloach) who ran over 9 people, killing a three-month-old baby and a 22-year old woman (click on black frame if video is not visible). He denied that there are orders to police not to enter Arab villages to apprehend the perpetrators of attacks and said that there have been almost 900 arrests, and about 300 charge sheets have been filed, since the present wave of violence began. About 1,000 policemen from special forces have been added to the Jerusalem police force, he said, and in addition, there are discussions with the Economics Ministry about stopping the import of firework hives. In addition, Prime Minister Netanyahu on Monday issued instructions to speed up the legislation of a law stiffening punishment for rock-throwers, which would mandate prison terms of up to 20-years in some cases. It follows the formation of a special police task force specifically to deal with the violence in Jerusalem.